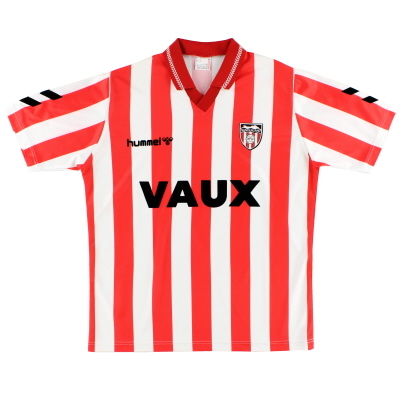 Like Stoke City, Sunderland are another club whose stripes were discarded in the modernist approach that overtook football kit design in the early 1980s. 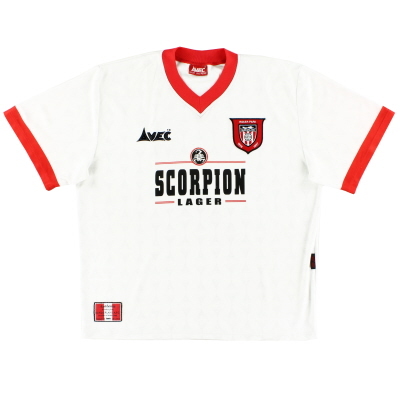 New suppliers Le Coq Sportif abandoned almost 100 years of history by replacing the stripes with what was essentially a plain white football shirt with very thin red stripes, outlined in black and arranged in pairs. 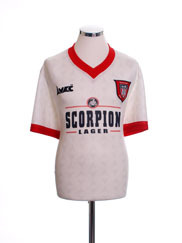 The jersey was also coupled with red shorts. 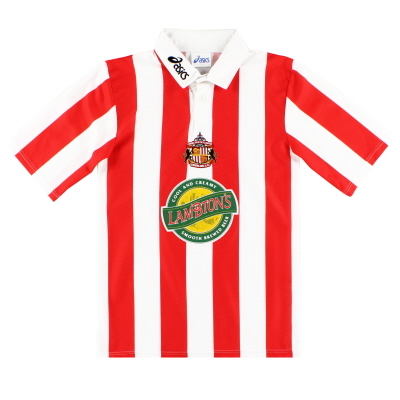 Fortunately the outfit was just a blip on an impressively traditional roster of Sunderland kits over the years, and the stripes returned two seasons later. 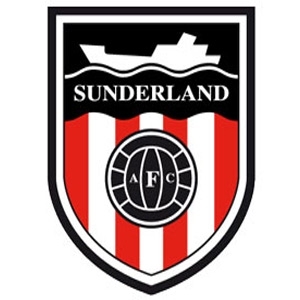 The club’s first kit in 1882 was actually an entire navy blue ensemble. 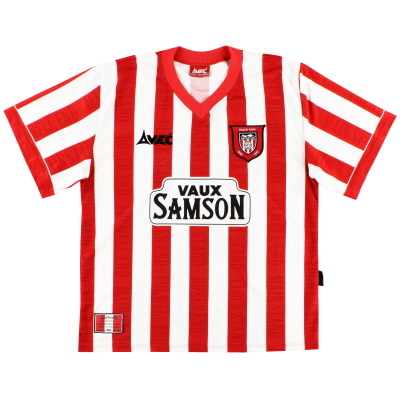 Red and white was originally introduced three years later in the form of a halved jersey, with the stripes appearing first in 1887. 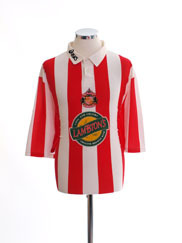 Although first worn with white shorts, black pairs was soon introduced and the archetypal Sunderland kit was born. 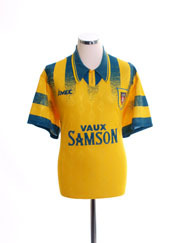 Black also provides a third trim colour on the jersey when required. 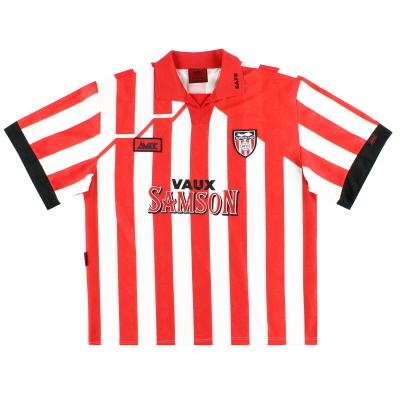 The club’s socks colours have varied between red or black, although a white pair was worn with the Patrick-produced kit of the mid-1980s. 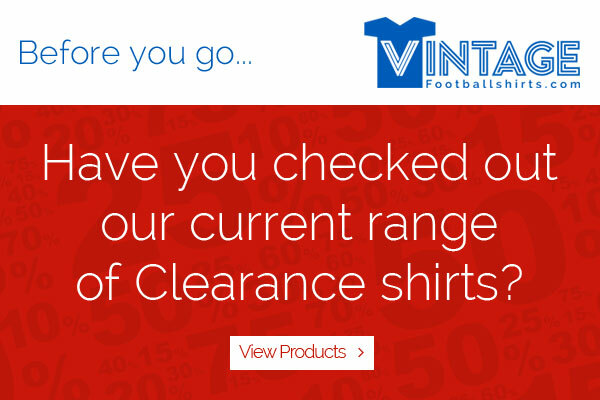 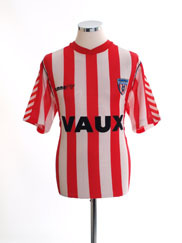 The club have worn a variety of away colours through the years, although designs in white, blue or yellow have been most popular. 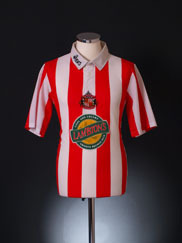 Car dealers Cowies arrived as sponsors in 1983, just in time to benefit from the lifting of the ban on sponsorship during televised matches. 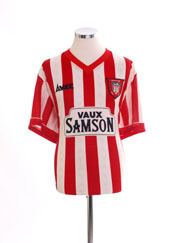 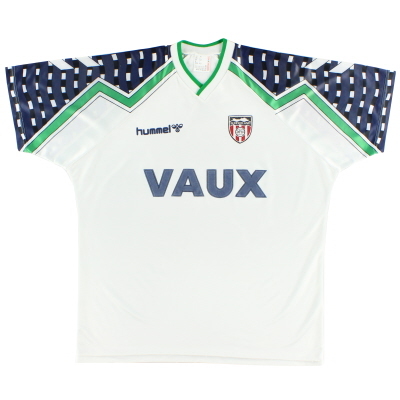 They were followed three years later by now defunct Sunderland brewers Vaux who formed a long partnership with the club that lasted until 1997.